Blue light towers? Emergency phones? Blue boxes? Many names are used to describe the blue light phones around campus, but are people truly aware of their purpose? Williams explained that the system is a direct line to the control center and the control center is basically dispatch for the university. Williams said, “They are not 911 operators, they are not trained emergency personnel, but it does go directly to them.” The Control Center will then report the call to the specific department the caller needs for further assistance. 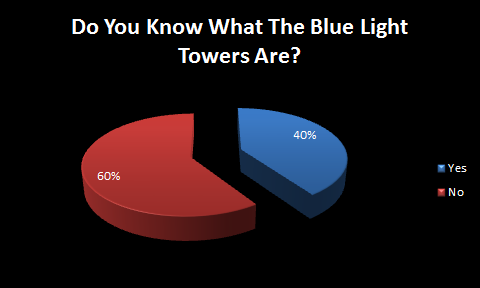 A total of 47 students and faculty were interviewed for an informal poll showing how many of them knew what the blue light phones were. Of those interviewed 19 of them had an idea of what the blue light phones are, and knew their purpose. 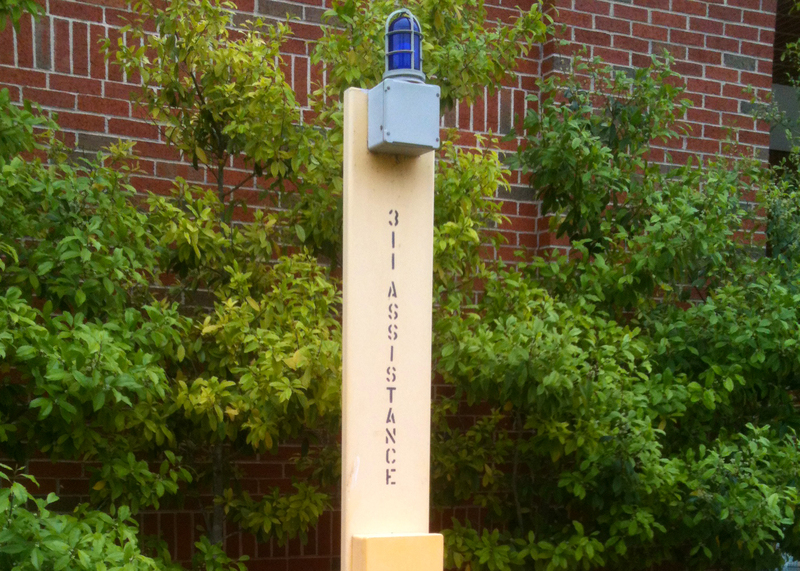 Information about the Blue Light Phones are publicized at “all the orientations, the student orientations, the parent orientations, duck camp” and can be found on the university’s webpage and various reports across the campus according to Williams. A request for usage of Blue Light Phones was sent to Vickie Swam, public information officer at Tarleton. Swam explained with the attachment of the open records that the Public Information Office does “not retain ‘Blue Light Phones usage’ records for any longer period of time” than two years. This is why the table only includes 2011-12 and 2012-13 school year. Since the last school year the usage in the boxes has actually risen. 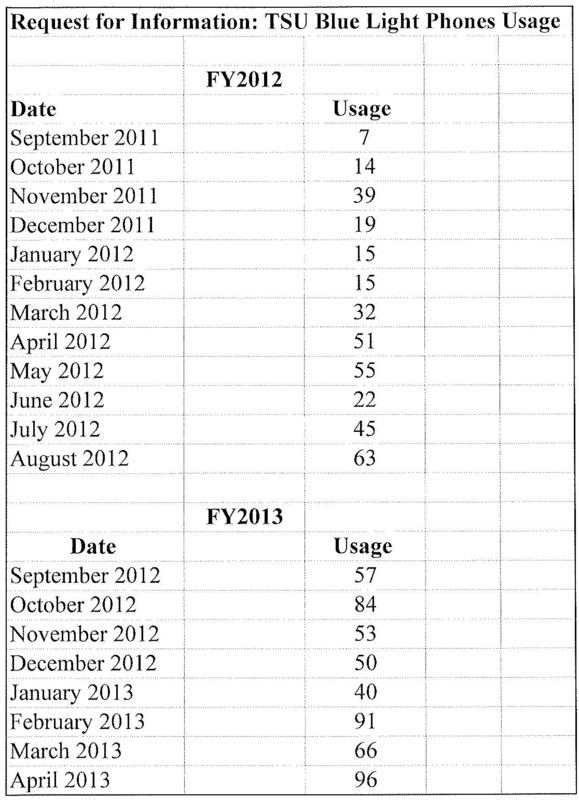 The data shows that the amount in this year had more usage.The lowest month was 40 calls, and the highest month was 96 calls, while the previous year’s high was 63 with a low of seven. 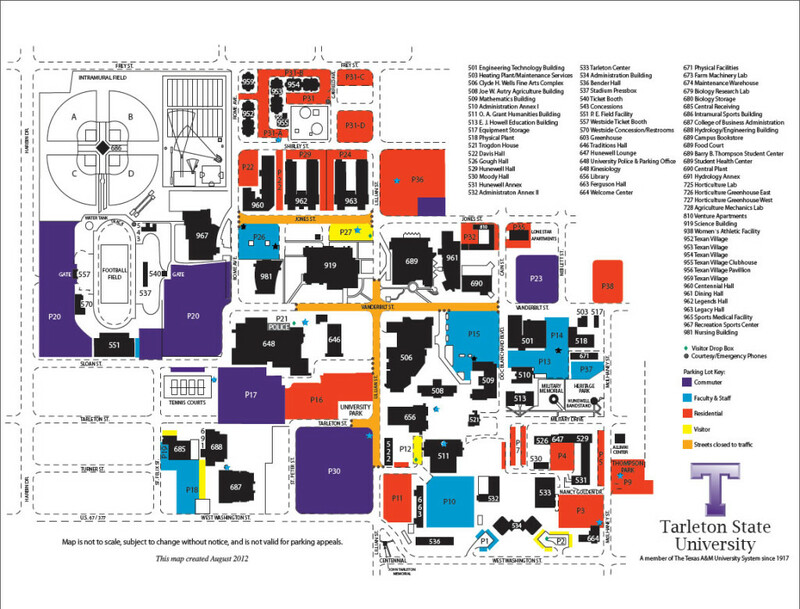 This map shows the placement and a photo of the Blue Light Phones on the Tarleton campus. The locations are noted with blue and black stars. This map is not to scale. Christina Villobos, public information officer for California State University Northridge Police Department said on behalf of the president of the International Association of Campus Law Enforcement Administrators, Anne Glavin, that the Blue Light Phones should remain useful because they are “visible” and “strategically placed” to be helpful in the event of an emergency. Article by Karley Hardin, Zelda Dawson, Bethany Kyle, Ashleigh Roberts, Ansley Bartley, Drew Isom, Todd Coley, Ginger Cousins, Tammy Wiederhold, Madison Campbell, Ashley Ehler and SheaLeigh Jones.